In the updated rankings put out by AIBA, Mary Kom is placed top of the charts in the 48kg weight division with 1700 points. A judging controversy couldn't stop the Indian juggernaut from rolling with as many as eight pugilists reaching the quarter-finals in the ongoing AIBA Women's World Boxing Championships on Monday. 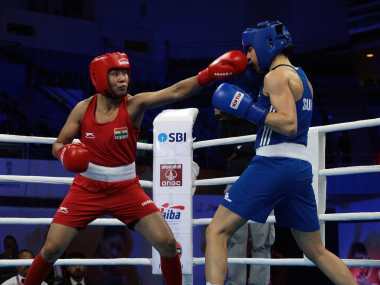 Veteran L Sarita Devi and rookie Manisha Mouna gave India a flying start in the women's World Boxing Championships with dominating victories in their respective bouts on Friday. 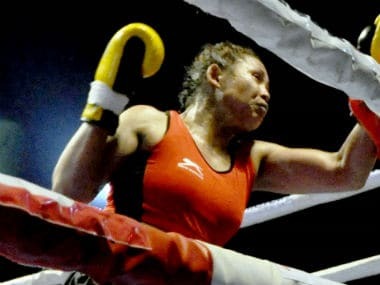 A tough road awaits veteran L Sarita Devi and rookie Manisha Moun as they open India's campaign at the AIBA Women's World Boxing Championships on Friday. 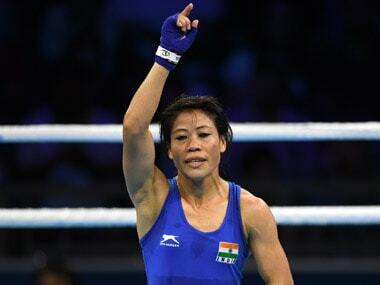 Five-time champion MC Mary Kom (48kg) will be the spearhead of a 10-strong Indian team named Friday for the AIBA women's world boxing championships, scheduled to be held from 15 to 24 November. 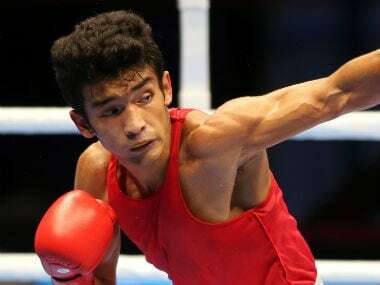 India's junior boxers also performed exceptionally well to claim 13 medals, six of them gold, while senior pro L Sarita Devi (60kg) ended with a bronze. MC Mary Kom in International Silesian Championship 48kg final, India women's cricket team victory — we discuss all this and more on Spodcast, Firspost's daily sports podcast.